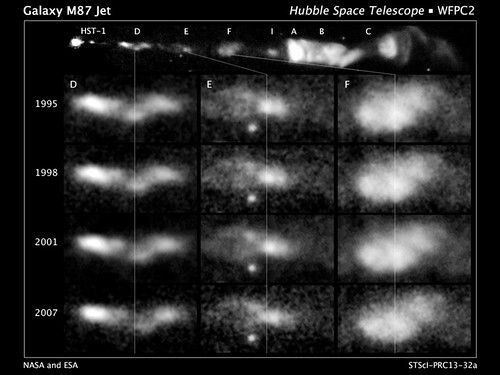 Read all about it in Astronomy magazine. Radio communication with ground station confirms successful launch of South Korea’s new satellite. 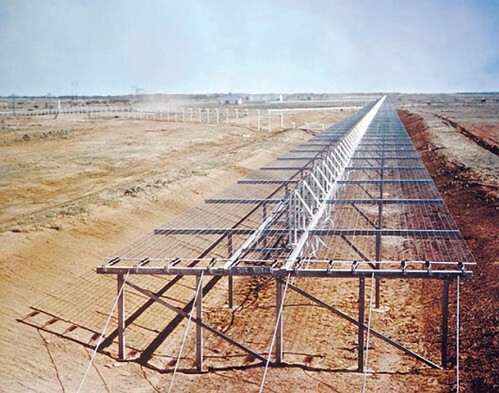 Azerbaijani Communications Minister announces a tender will soon be offered for the launch of the nation’s second communications satellite. Lenders holding some $1.4 billion in claims against bankrupt LightSquared join lawsuit by Philip Falcone claiming that Charles Ergen and Dish Network are trying to grab LightSquared’s spectrum licenses at a discount. Venezuela looks to become more relevant player in the satellite industry in Latin America. Brazil to host both the FIFA World Cup and the Olympic Games in the space of three years; making the broadcasting component of these events a success is a key challenge for the satellite industry. Milstar gains new capabilities, adding software providing additional functionality by using existing passive sensors on the system as a Wide Angle Sun Sensor. ESPN, one of the first sports broadcasters to offer 3D, pulling the plug in June after disappointing viewer figures, has no plans to offer Ultra HD. NASA looks for a dedicated small-satellite launcher, with a firm, fixed-price contract aimed at reducing a backlog of more than 50 cubesats the agency has accumulated. Satellite TV subscribers are expected to reach 250 million by 2018, with Asia and Africa hotspots for DTH. TeleCommunication Systems gets incremental $2.8 million for Tactical Transportable TROPO (3T) communications systems to provide beyond-line-of-sight communications without satellite resources. Ball Aerospace & Technologies Wide-field Infrared Survey Explorer spacecraft to emerge from two-year hibernation and resume asteroid hunting mission. Es’hailSat and ARABSAT announce a strategic partnership to promote closer co-operation and strengthen the reach and penetration of the 26 degrees East hot spot neighborhood for TV broadcasting. U.S. Air Force to spend additional $36 to $40 billion into its effort to put military and spy satellites in orbit using commercial rocket services. U.S. Air Force awards contract option to Space Systems/Loral to continue developing and demonstrating design concepts for next generation Protected Military Satellite Communications. Communications network manager SageNet of Tulsa, Oklahoma, is acquiring a larger competitor, satellite communications company Spacenet. Ford Motor Co. takes a fresh look at how space-based communication relays might help earthbound vehicles better navigate traffic congestion, and get an SOS out in case of trouble. U.S. Air Force releases final request for proposals for a contracting vehicle to standardize processes for placing dedicated military capabilities aboard commercial satellites. TDRS-K satellite completes in-orbit testing and is handed over to NASA; Boeing completes performance testing ot TDRS-L satellite and readies it for shipment to Kennedy Space Center later this year. 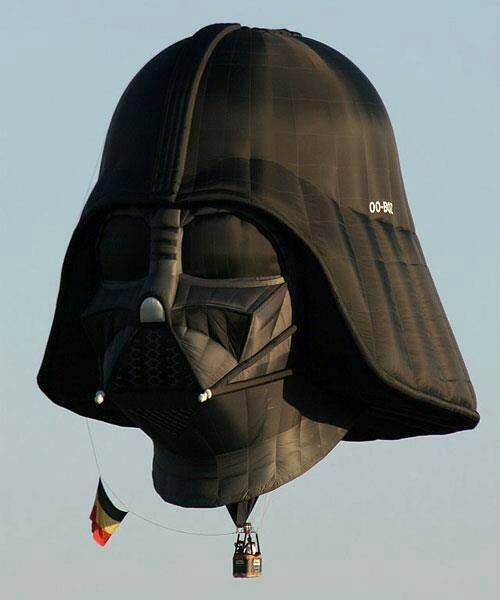 Surprise Chinese satellite maneuvers mystify Western experts. Communications regulator Ofcom proposes to license new satellite system for aircraft, ships and trains to provide wi-fi fast enough to stream video content such as Netflix and the BBC’s iPlayer. The Global VSAT Forum and the Satellite Interference Reduction Group will work with the Chinese satellite communications industry to jointly present an Interference Prevention Summit September 4th at China Satellite. ISRO calls off GSLV-D5 launch due to fuel leak in second stage of rocket engine. NSR expects the trend of increasing mass of satellites to continue, and questions the viability of the next potential European launcher, Ariane-6. Harris announces completion of successful demonstration of a small, deployable LTE solution supported by satellite connectivity. NSR September Government and Military Satellite Communications report to give readers a unique view on funding for satellite communications, demand by type of capacity and developments to watch, and assist in strategic decision-making in a tense budgetary environment. Cool: WISE is being reactivated to help with the Asteroid Redirect Mission. Great job by NOAA in putting this video together, marking the retirement of the GOES-12 spacecraft. NOAA’s GOES-12 satellite was decommissioned on August 16th, 2013 after 3,788 days in service. From April 2003 — May 2010, GOES-12 served as GOES East, providing “eye in the sky” monitoring for such memorable events as the 2005 Atlantic hurricane season and the series of blizzards during the winter of 2009-2010. After suffering thruster control issues, GOES-12 was taken out of normal service and moved to provide greater coverage of the Southern Hemisphere as the first-ever GOES South. During that time it provided enhanced severe weather monitoring for South America. This animation shows one image from each day of the satellite’s life — a total of 3,641 full disk visible images. Personally, I’ve never seen anything like this, and photographer and digital artist Michael K. Chung said he couldn’t believe what he saw when he was processing images he took for a timelapse of the Perseid meteor shower. It appears he captured a meteor explosion and the resulting expansion of a shock wave or debris ring. Not nearly as dramatic as a seemingly-exploding Large Megellanic Cloud Galaxy, but it’ll do. China Satellite Communications signs Memo of Understanding with Global Eagle Entertainment to support in-flight connectivity services in the People’s Republic of China. 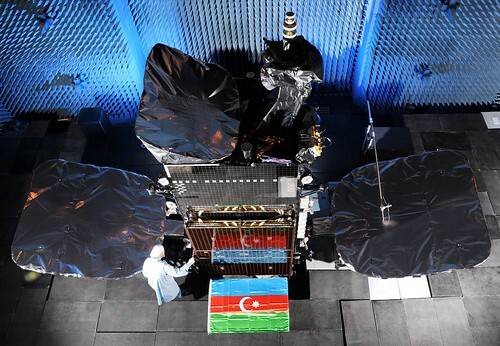 Ukrainian and Turkish TV channels begin broadcasting through Azerbaijan’s first communications satellite. India Space Research Organisation hopes to raise its stature in the global satellite launch business with a successful launch of FSLV-D5 with an indigenous cryogenic engine August 19. FCC streamlines satellite communications rules affecting license applications by earth station operators. NOAA keeps quiet a report that suggests using Chinese weather satellite data to cope with potential gap in American satellite coverage. Yahsat expands presence of its satellite broadband internet service in Angola with new partnership with Global Telesat. China Mobile Satellite Communications Group achieves growth from 1,000 minutes of airtime in April to over 60,000 minutes in July. Previously unannounced South American customer for Space Systems/Loral multi-mission communications satellite is Star One of Brazil. 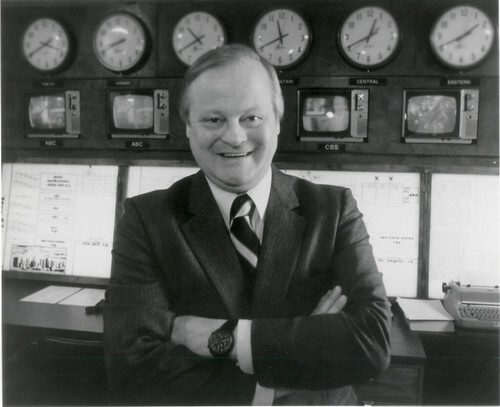 Satellite TV distribution innovator Robert N. Wold passes away at 87. Air Force decides to shut down “Space Fence” program due to budget sequestration, a move that will put major strain on existing surveillance capacity and jeapordize satellite and space industries. Burgeoning military demand for satcom services, weather data and other space products, coupled with draconian budget cuts, may force new direction in military satcom services acquisition. Singtel decides not to sell Optus Satellite division; mulls IPO as an alternative. Brazil moves to end dependence on United States and secure its own satellite and digital networks following accusations of U.S. spying. Future Commercial Satellite Communications Services meets some of its goals, but challenges remain. 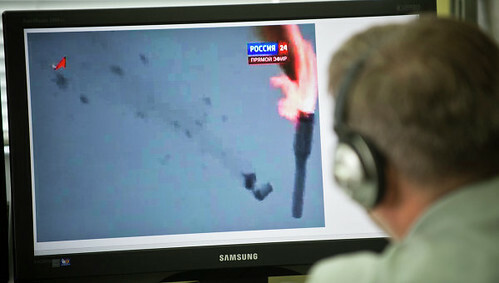 International Launch Services review agrees with Russian conclusions that improper installation of three yaw angular rate sensors led to the failure of the July 2, 2013 Proton launch. Expansion of aero connectivity market with new satellites planned over ocean routes will dictate multiple-frequency approaches to address narrow-body and wide-body commercial airlines connectivity needs. Lockheed Martin chooses three companies to provide CubeSat integration for its Athena launch services – Tyvak Nano-Satellite Systems (Irvine, CA), TriSept (Chantilly VA), and Spaceflight (Tukwila WA). SpaceX’s Grasshopper successfully completes 100m lateral divert test. Erickson Air-Crane Helitanker uses Blue Sky Network to provide satellite tracking for aerial firefighting. Comtech receives additional $1.4 million in orders to supply solid-state high-power amplifiers to a military integrator. TeleCommunication Systems to showcase next generation public safety communication solutions at APCO 013. Advantech Wireless releases new line of S-band frequency converters. Satellite Interference Reduction Group and Newtec launch industry survey to find out what the industry really thinks when it comes to satellite interference and Carrier ID. Thales Alenia Space to build satellite for Brazilian company Visiona for civil and military use. ATK gets contract from Orbital Sciences Corporation to provide first and second stage propulsion for the Air Launch Vehicle Orbital is building for StratoLaunch Systems Corporation. RRsat posts record quarterly revenue increase. Kratos ISI to provide turnkey ground segment solution for Indonesia’s PT Telecom. Spidersat to launch African network. World’s first pop-art satellite to be launched from Kazakhstan on October 29. ViaSat newsgathering truck using C-COM Systems technology over ViaSat’s Excede network provides successful communications link from California wildfire scene where all others failed. KVH more than doubles capacity of its mini-VSAT Broadband network in the Asia-Pacific region. Australian iiNet forced to withdraw plans for 20GB download on interim NBN service due to lack of sufficient capacity due to successful growth of subscribers. This is a non-profit suborbital space endeavour founded and led by Kristian von Bengtson and Peter Madsen, based entirely on sponsors, private donators and part time specialists. 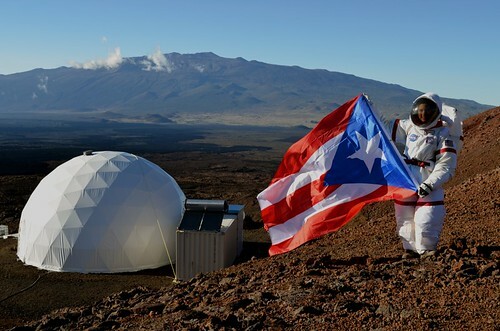 Since May 2008 we have been working full time to reach our goal of launching ourselves into space and to show the world that human space flight is possible without major government budgets and administration. 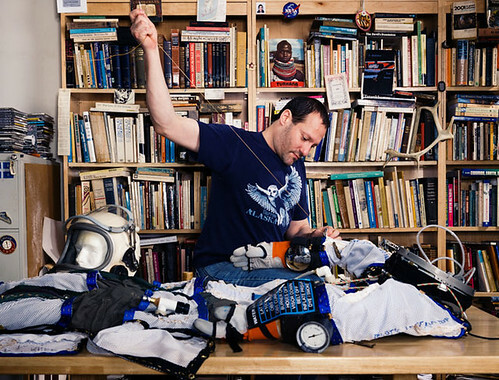 In just a few days DIY space suit guys Cameron Smith and John Haslett will visit us in Copenhagen for a 10-day session of suit presentation, seating design and space suit testing. We are all very excited and I am trying to get prepared for this special event. Even though we joined forces half a year ago – meeting in person like this is going to be very special and will mark a special celebration of a US/Danish joint venture space adventure! This is one of the most interesting DIY projects we’ve ever seen. The HI-SEAS experiment is an interesting proposition. Lock six people into a dome for four months and have them work with non-perishable food. On the north slope of Mauna Loa. Hawaii? Why not the South Pole? Well, that has its cohabitation challenges. 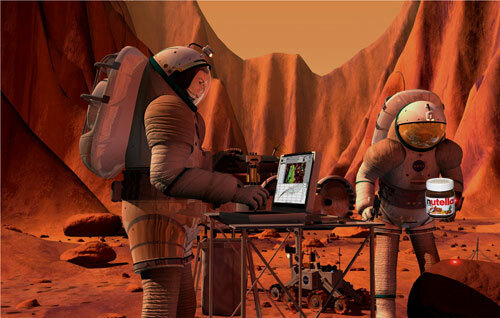 It only looks like Mars — without the minus-60-degree Celsius temps. They had interesting things to do, for example. With power and Internet, why not tune in and munch out? I could probably survive with these ingredients, which include Spam. The most important one was actually a treat: Nutella. Which, by the way, is looking into different colors. They should sell a limited edition “Mars Red Nutella” for the geek market.